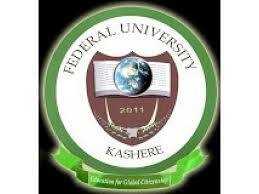 Federal University of Kashere, FUKASHERE Resumption Date for Continuation of Academic Activities of First Semester for Fresh and Returning Students, 2018/2019 Academic Session. Following the Suspension of the Academic Staff Union of Universities Nationwide Strike Action the Management of the Federal University of Kashere, FUKASHERE has approved a revised 2018/2019 academic calendar for the University for the continuation of the 2018/2019 academic session. In view of the above therefore, all staffs and students are hereby informed that Senate has approved the resumption of academic activities on Monday 11th March, 2019.